Putting 15 minutes a day will help you develop a more dependable stroke, build confidence, and most importantly lower your score without ever leaving your home or office! Second, the Panel Style practice system. This exciting new design style allows the green to have specially created foam undulations under the panels to create smooth and realistic breaks in the green. Fringe grass can be used to shape the green and provide for short chips onto the green. The cup is part of panel design so coring the floor is not required. Indoor wall to wall panel systems offer very realistic looking and esthetically clean finishing. First the Direct to Floor Style practice system. 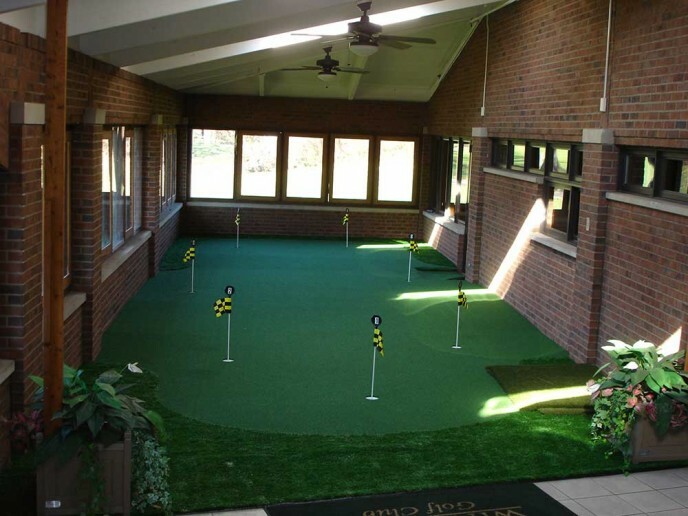 These greens are designed to fit a room and framed with fringe grass. 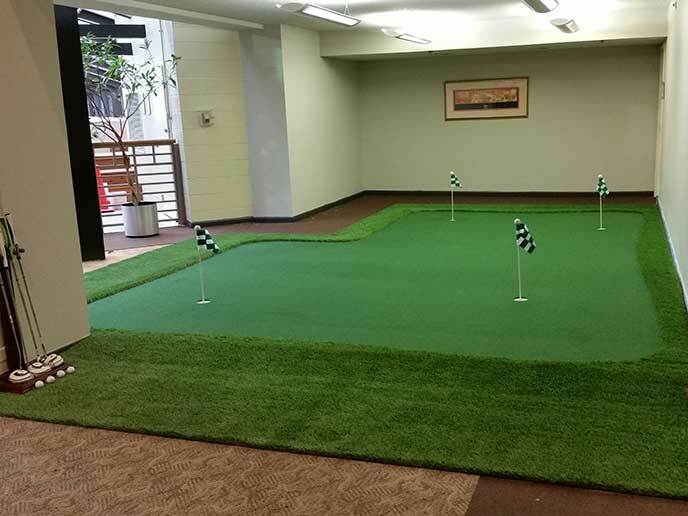 Turf is installed directly onto the floor’s flat surface giving you mostly straight putts. Coring the floor is required for the holes and the floor surface requires preparation to obtain a smooth roll. 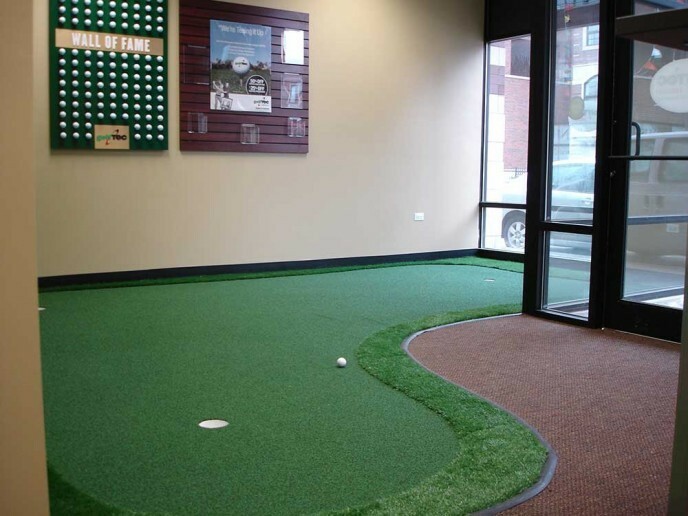 Turf is edged against the wall, raised surfaces or other carpeting. 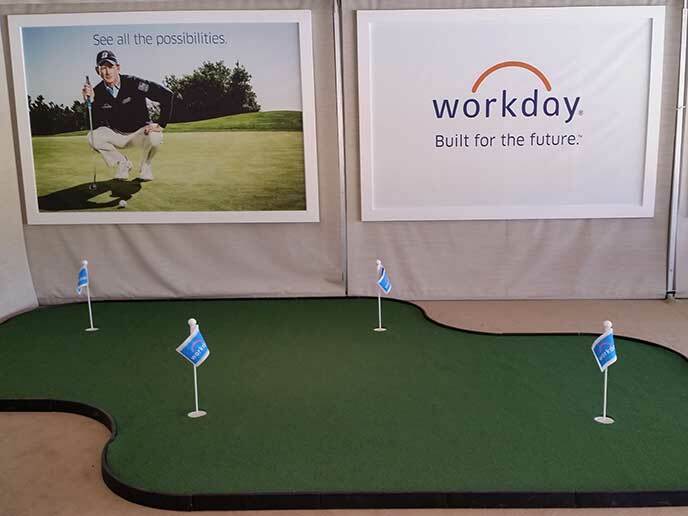 The third, Stand Alone Style practice system. Easily and quickly install or dismantle your stand alone practice system and change undulations as many times as you like. Use it inside in the winter and outside in the summer. The beauty of all our panel systems is when you move, you take your green with you!